Vivo Energy plc said it has reached an agreement with Engen Holdings (Pty) Limited (EHL) to restructure the acquisition of Engen International Holdings (Mauritius) Limited (EIHL) by Vivo Energy’s subsidiary, Vivo Energy Investments B.V.
All required regulatory and competition authorities’ approvals have been received for the transfer of Engen’s international operations in nine Sub Saharan countries. The restructuring allows for completion of the transaction, first announced on 4 December 2017, to proceed in all countries, except for the Democratic Republic of Congo which is still under negotiations. The restructured transaction will add operations in eight new countries and more than 225 Engen-branded service stations to Vivo Energy’s network, taking its total presence to more than 2,000 service stations, across 23 African markets. Completion has been scheduled for 1 March 2019. “Today’s announcement opens an important new chapter for Vivo Energy and we look forward to welcoming around 350 new employees, adding eight new countries to our network, and increasing our target market by nearly 150 million people to around 35% of the African population. Importantly, our existing business remains on track to achieve our full year guidance and we continue to invest in and grow our existing operations,” said Christian Chammas, CEO of Vivo Energy. Vivo Energy operates and markets its products in countries across North, West, East and Southern Africa. The group currently has a network of more than 1,800 service stations in 15 countries and exports lubricants to a number of other African countries. Its retail offering includes fuels, lubricants, card services, shops and other non-fuel services (e.g. oil change and car wash). It provides fuels, lubricants and liquefied petroleum gas (LPG) to business customers across a range of sectors including marine, mining, construction, power, transport and manufacturing. Jet fuel is sold to customers under the Vitol Aviation brand. Vivo Energy currently employs around 2,360 people and has access to approximately 943,000 cubic metres of fuel storage capacity. The group’s joint venture, Shell and Vivo Lubricants B.V., sources, blends, packages and supplies Shell-branded lubricants and has blending capacity per annum of around 158,000 metric tonnes at plants in six countries (Ghana, Guinea, Ivory Coast, Kenya, Morocco and Tunisia). The new markets for Vivo Energy are Gabon, Malawi, Mozambique, Reunion, Rwanda, Tanzania, Zambia and Zimbabwe. Engen’s Kenya operations (where Vivo Energy already operates) is the ninth country included in the transaction. The restructured transaction is now unconditional, aside from customary closing conditions including material adverse change clauses. The value of the transaction is USD203.9 million, comprised of new shares issued by Vivo Energy of 63.2 million, which were valued at Vivo Energy’s IPO offer price of 165 pence per share, equivalent to a 5.0% stake in Vivo Energy, and USD62.1 million in cash. The cash consideration will be funded by a draw down on Vivo Energy’s multi-currency facility, which was established in May 2018. Engen continues to discuss with the Government of the Democratic Republic of Congo regarding the transfer of the subsidiary holding of Engen’s DRC-related interests. 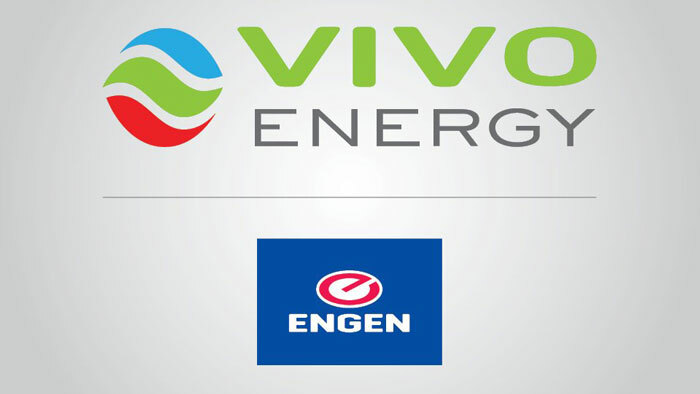 Vivo Energy continues to evaluate the potential acquisition and negotiations with Engen are ongoing. For the year ended 31 December 2017, unaudited management adjusted EBITDA for the nine entities that will transfer on 1 March 2019 was approximately USD33 million, of which USD26 million is attributable, with attributable net cash on hand of approximately USD48 million. “Engen is pleased with this transaction, which will enable the parties to proceed to completion on 1 March 2019. It aligns with our growth aspirations in Africa. We look forward to becoming a Vivo Energy shareholder, and adding another strong and well-respected brand to the Vivo Energy group,” said Yusa Hassan, managing director and CEO of Engen. Engen is an oil company focusing on the downstream petroleum products market and related businesses, with a presence across Sub Saharan Africa and the Indian Ocean Islands. The company’s core functions are the refining of crude oil, the marketing of primary refined petroleum products and the provision of convenience services via an extensive retail network. Engen is a member of Malaysia’s state-owned oil and gas company PETRONAS.